Rackmonterat USB2-ljudkort med gott om möjligheter. 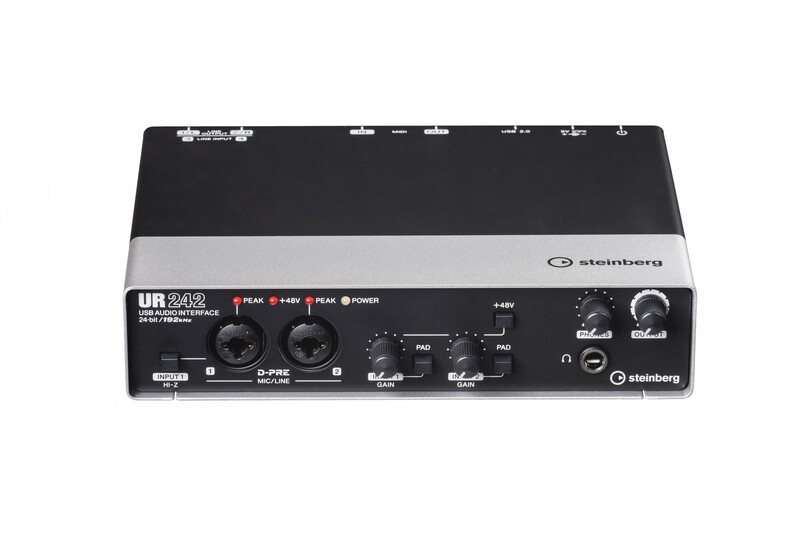 The UR824s front panel hosts two Neutrik combo TRS/XLR connectors for balanced microphone/line input with switchable 48 volt phantom power and Hi-Z, pad push buttons for signal attenuation, gain controls with peak indicators. 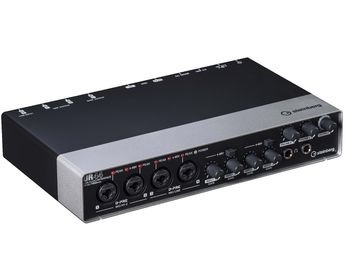 On the opposite side theres a single output level rotary knob that allows you to easily adjust the levels of the eight line output signals alongside two headphone connectors, each with a dedicated level control. 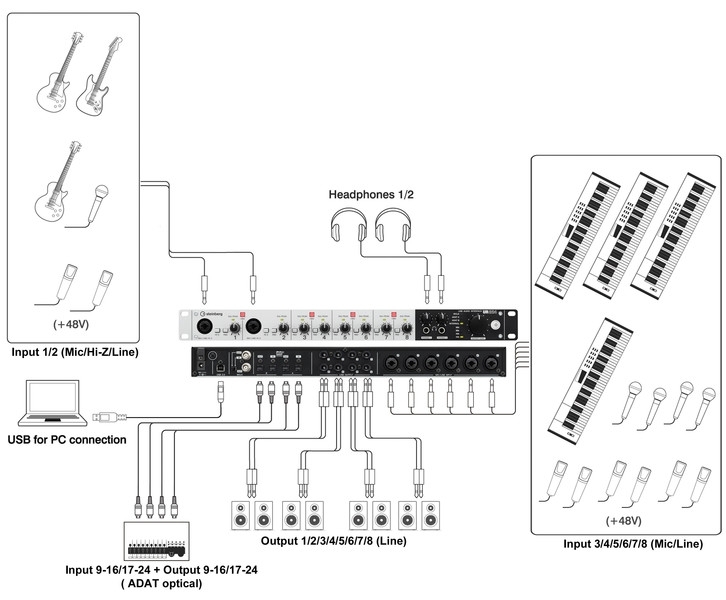 The output signal to be controlled by the front panel rotary is selected through the software. 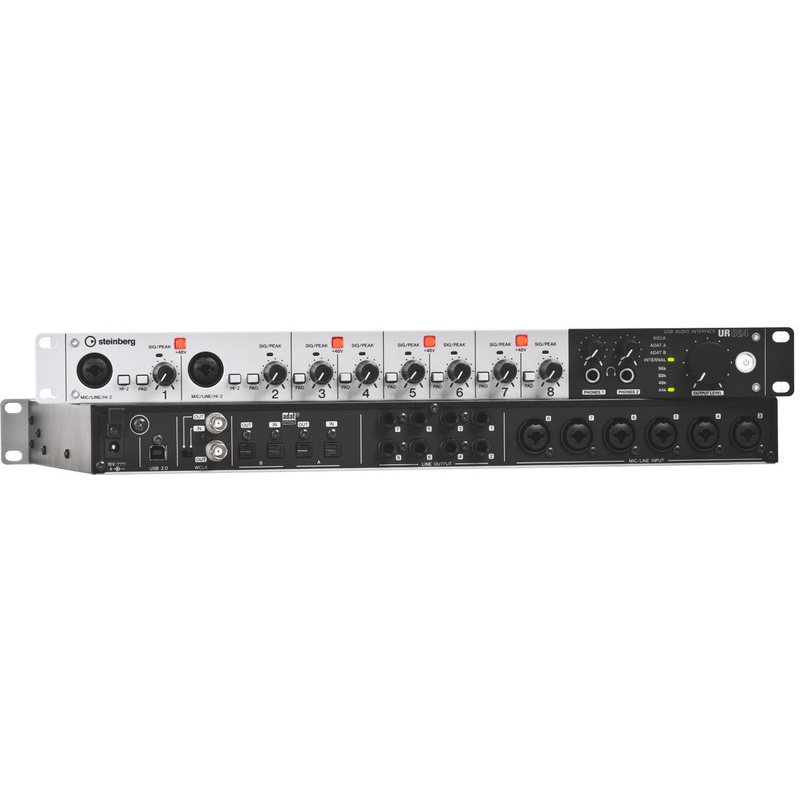 The rear panel provides six Neutrik combo TRS/XLR inputs and eight analog balanced TRS outputs as well as two pairs of optical ADAT inputs and outputs. Also on board are two BNC connectors for switchable word clock input and output. 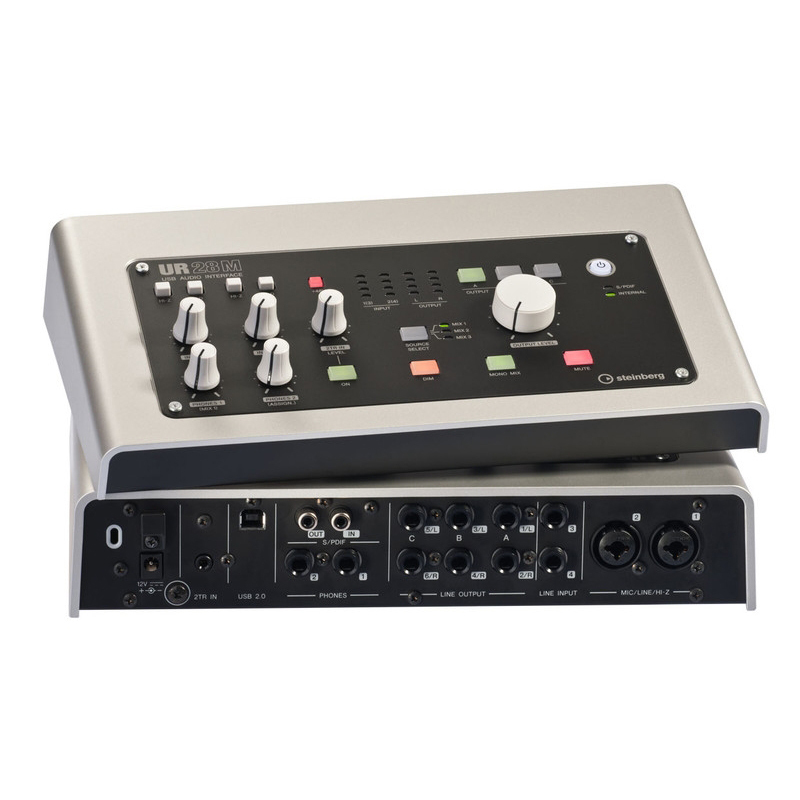 Developed by using advanced technologies to offer seamless scalability, this mixing and recording interface offers options to expand the number of analog inputs and outputs across the system via ADAT to provide up to 24 input and output channels. For signal synchronization, the UR824 interface also features JetPLL, a patent-applied solution for audio network jitter. JetPLL provides the same performance as traditional, expensive clocking solutions found in the worlds best professional clocking products. 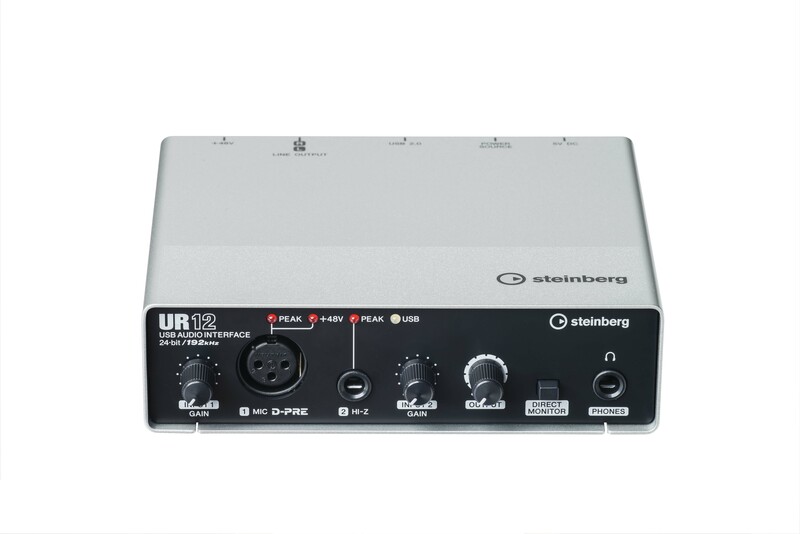 With its expanded I/O capabilities, the UR824 interface lets you hook up a vast number of equipment and instruments, the signals of which can also be fed via its high-speed USB 2.0 link to your computer for mixing and recording at a maximum audio resolution of 24 bits and 96 kHz.